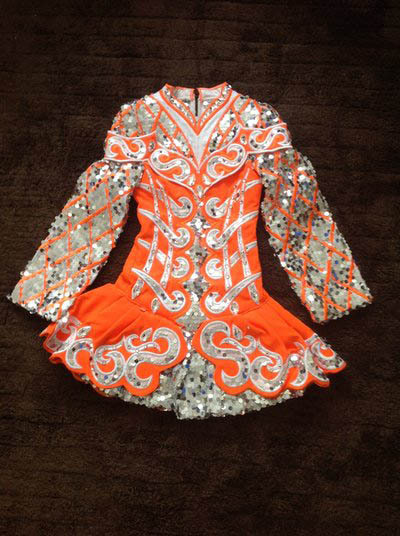 STUNNING GAVIN DRESS, MAIN COLOUR ORANGE, WITH WHITE FEATURES AND SILVER SEQUINS, MANY STONES AND DALMONTES . 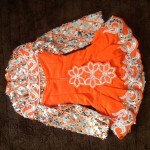 THE DRESS IS ONLY,8 MONTHS OLD AND SADLY IS BEING SOLD DUE TO,GROWING SPURT. WE WILL BE SAD TO SEE IT GO. 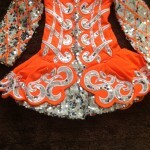 THE DANCER IS QUITE SLIGHT/ThIN SO DRESS MAYBE SUITABLE FOR YOUNGER DANCER ALSO. There is room in the dress to let it down and let it out. 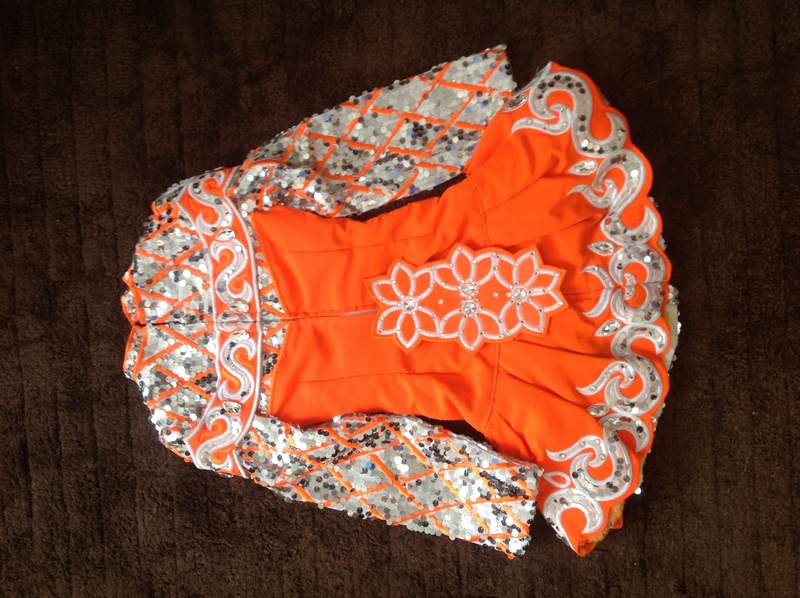 Asking Price: £595. Shipping costs are not included in the asking price. Sale is final.